Bobby likes to tag me in pictures on instagram of recipes he thinks looks good. It is a not so subtle hint to cook him stuff. 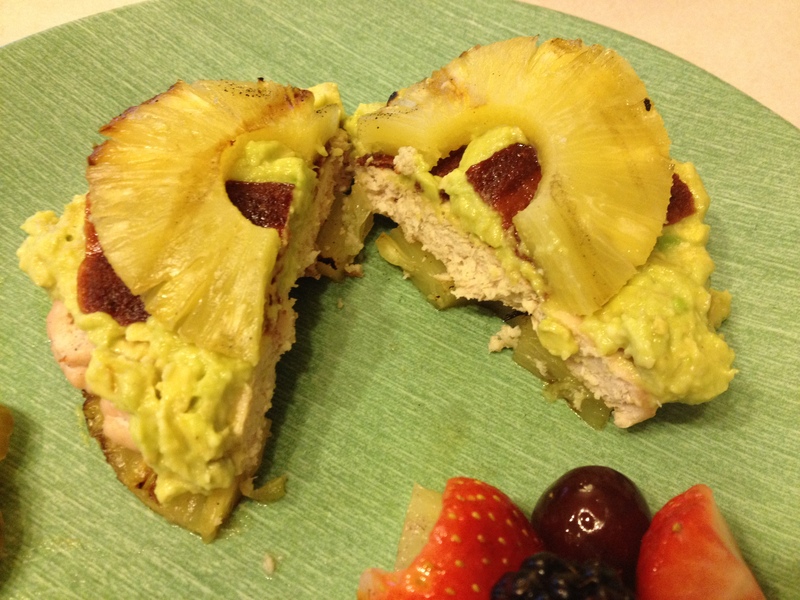 I decided to surprise him with one of the recipes… well kind of surprise. He actually guessed right away and I smiled funny so he knew that was it. oh well. He was happy regardless. 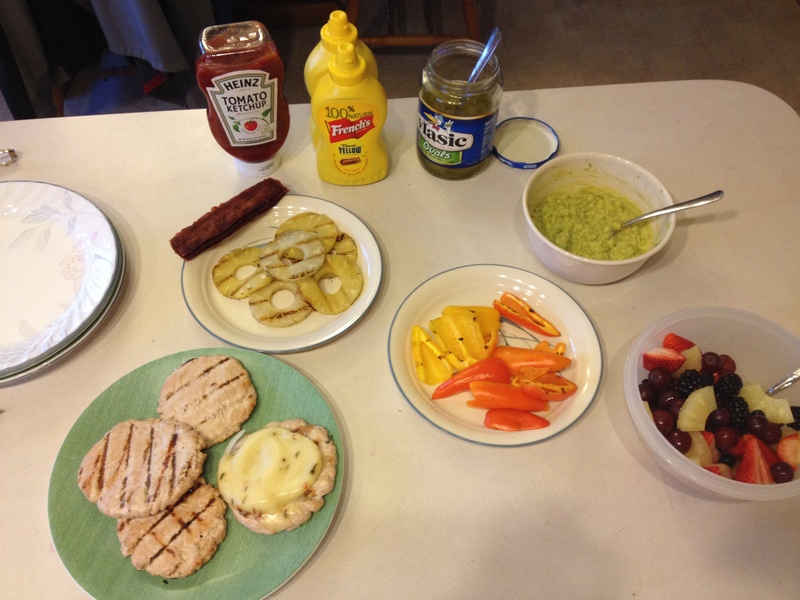 anyway, here is what we had: turkey burger, guacamole, roasted bell peppers, bacon, pineapple, and fruit salad. despite the fact that it looked odd and had to be eaten with a fork, it was delicious.